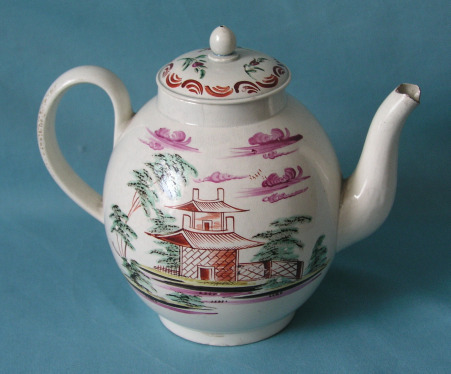 An English Pearlware Teapot, painted in polychrome enamels with Chinese Mandarin figures, the reverse with pagoda in a landscape. c.1780. 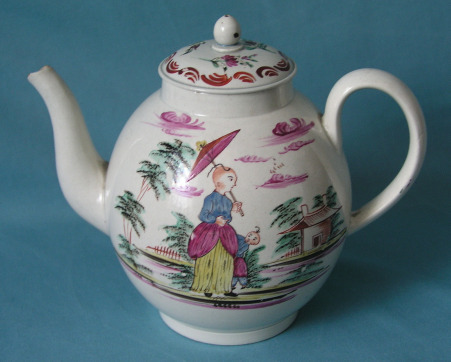 Dimensions: 16cm high. Unmarked. 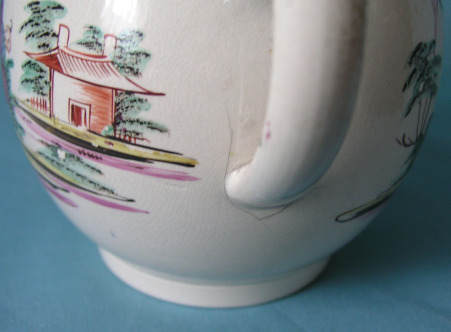 Condition: spout chipped, a hairline crack near the handle.